After you have selected a source disk to clone, you must select a destination disk. 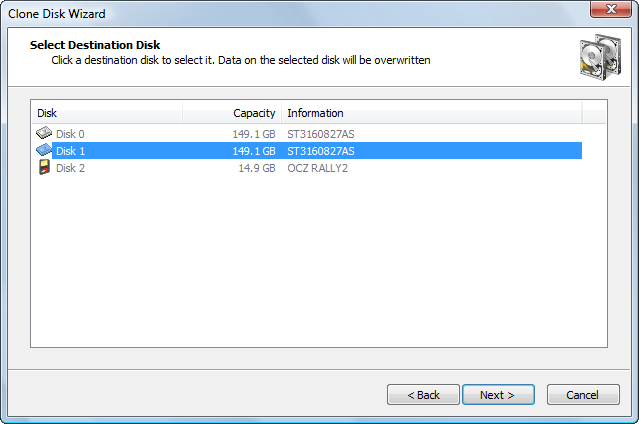 In the Selecting a Destination Disk page, select a target disk to receive cloned data from the selected disk. The disk that you select must be big enough to hold all the data in the source disk. If you select a disk that is too small, the Next button is disabled. After you click Next, an attempt is made to lock the target disk for exclusive access. 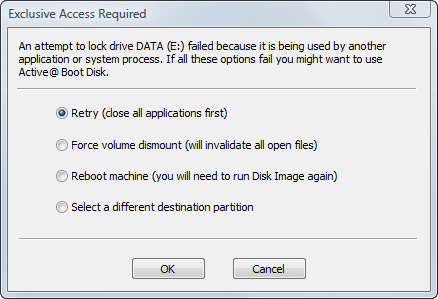 If the target disk is being used by another application or by the operating system, an error dialog box appears.